Some time we its really important to know that the email sent by us has been read or not. you will not find any inbuilt feature for this in most of mail server. "http://goo.gl" is the solution for this. If your email contains one or more link then this solution can be very helpful for you. It is very simple to use this. * Open the url "http://goo.gl"
* Paste your url(which will be provided by you in your email) in the text box given here. * click the button. now your url will get shorten. * now put this url in your email. Now whenever the recipient open this url in your mail his activity will be captured by http://goo.gl. 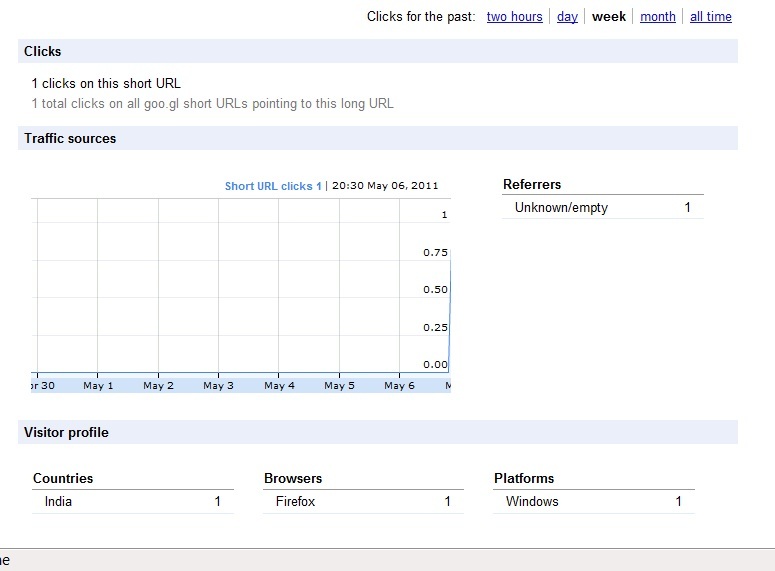 You can see this activity by adding '+' sign to Google short URL. 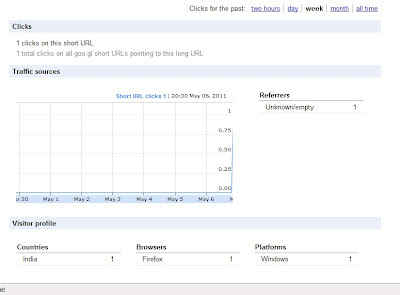 For example if you get the shorten URL of your link is http://goo.gl/dpAKF. Now you can see the stat by writing "http://goo.gl/dpAKF+" in your address bar.